I have this machine and want to order a belt for it. Do you have any? Hi. I just purchased the same machine in tan at a thrift store. I absolutely love it. My local sewing machine place is able to get parts for me. 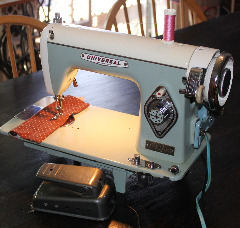 I%u2019m trying to find like a manual So I can learn how to thread it properly. Any luck on that?